If you're interested in featuring ClosetMaid in your article, blog or project and would like to receive press releases or information then please fill out your details in the form below. Questions will be answered as soon as possible, and if you've signed up to receive our press releases, you'll be the first to hear about our news, product launches, special offers and more! Which publication / blog / website do you write for? 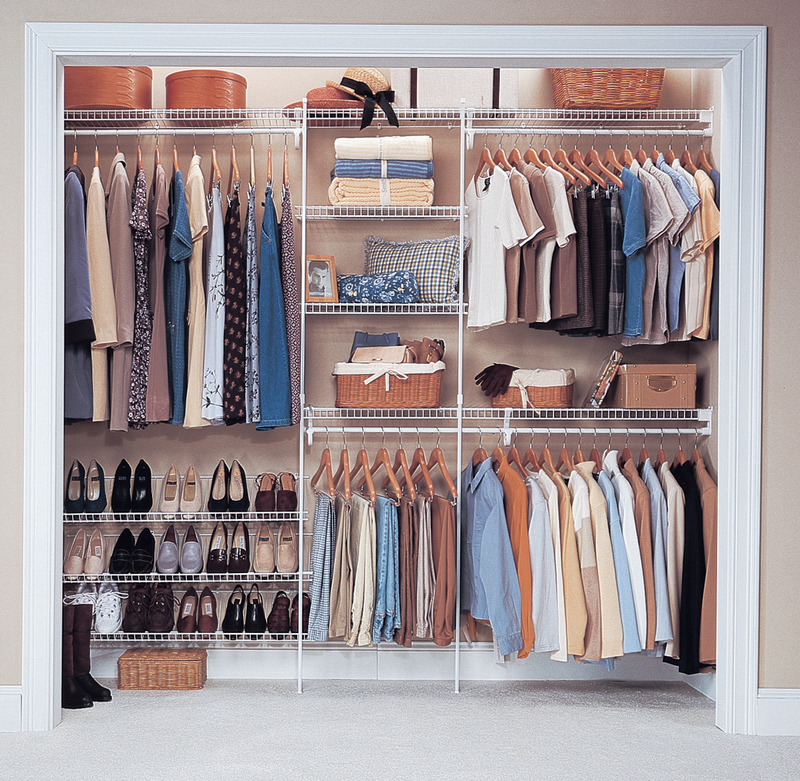 Below are images which can be downloaded if you are writing about ClosetMaid or our products. When you have clicked the link and the image has loaded, simply right click it and save to your computer. 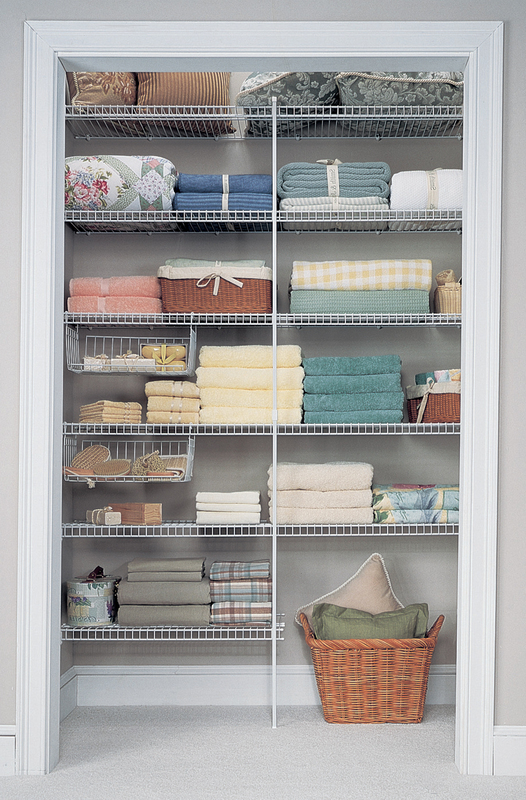 Our Shelf & Rod shelving is the original ClosetMaid style of shelving. Steel wire with a white vinyl coating, minimal hardware, sturdy, durable and strong. 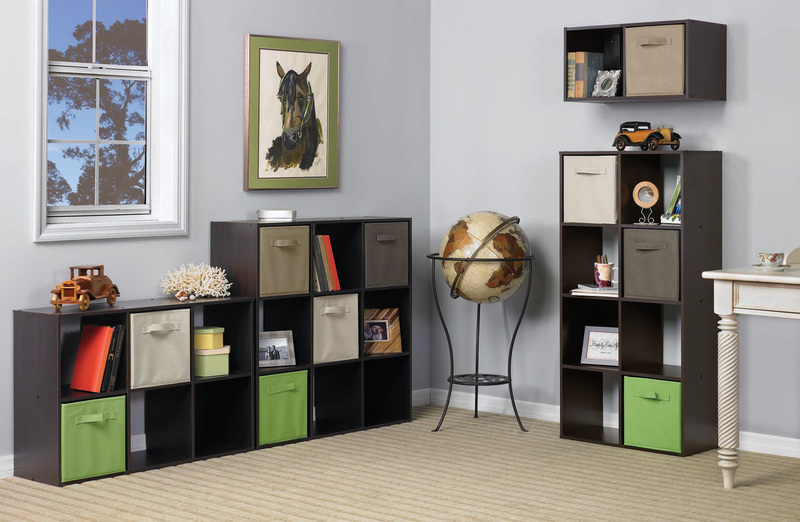 Ideal for spare bedroom closets or those on a budget. Modern ventilated shelving design keeps garments fresh and requires little maintenance, no finishing and is easy to install. Click below for images. Our SuperSlide shelving is the next step for ClosetMaid shelving. Steel wire with a white vinyl coating and white painted steel hang bar attached with uniquely shaped brackets to allow your garments to glide without interruption. 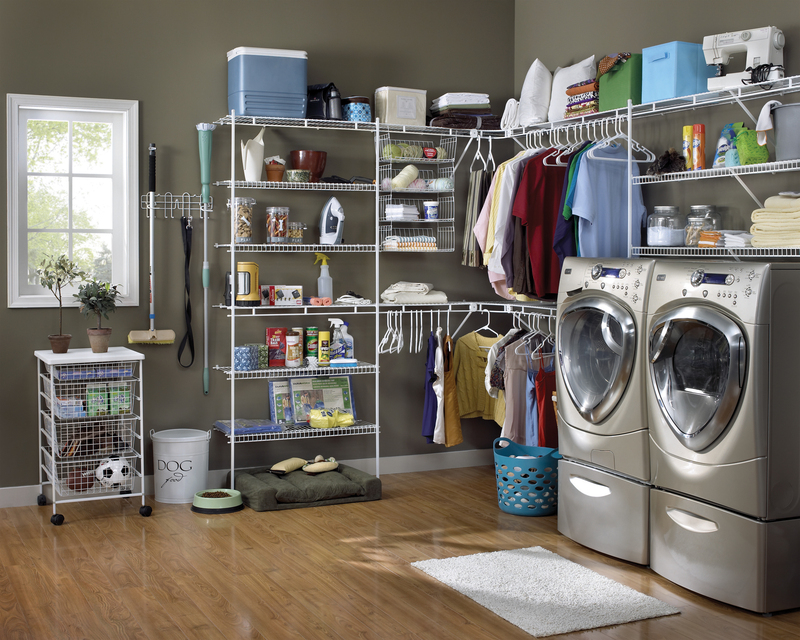 Perfect for master closets or those with generous closet space. Modern ventilated shelving design keeps garments fresh and requires little maintenance, no finishing and is easy to install. Click below for images. 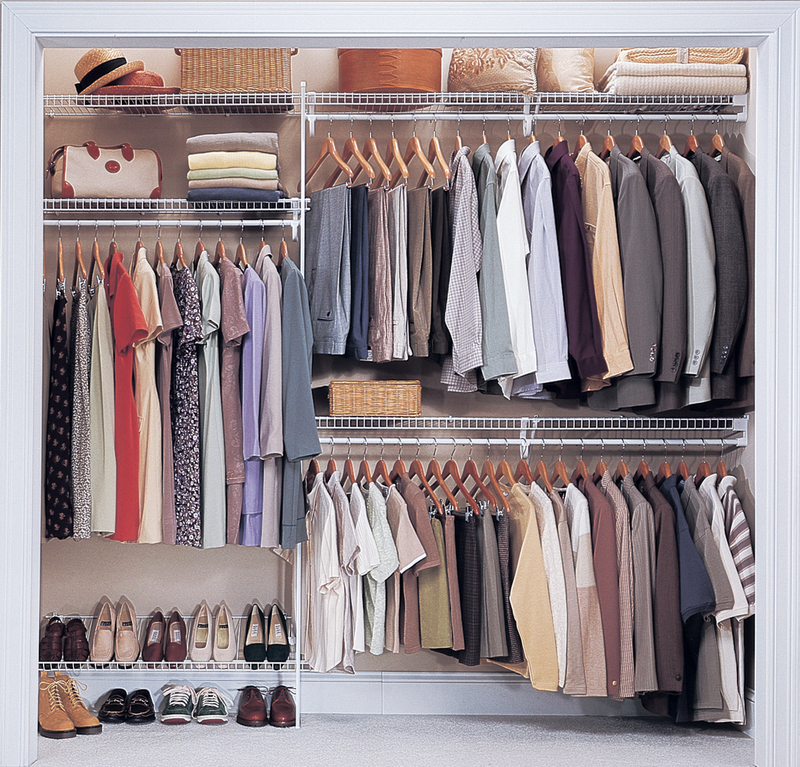 Our adjustable ShelfTrack system is an even simpler way to install ClosetMaid shelving. 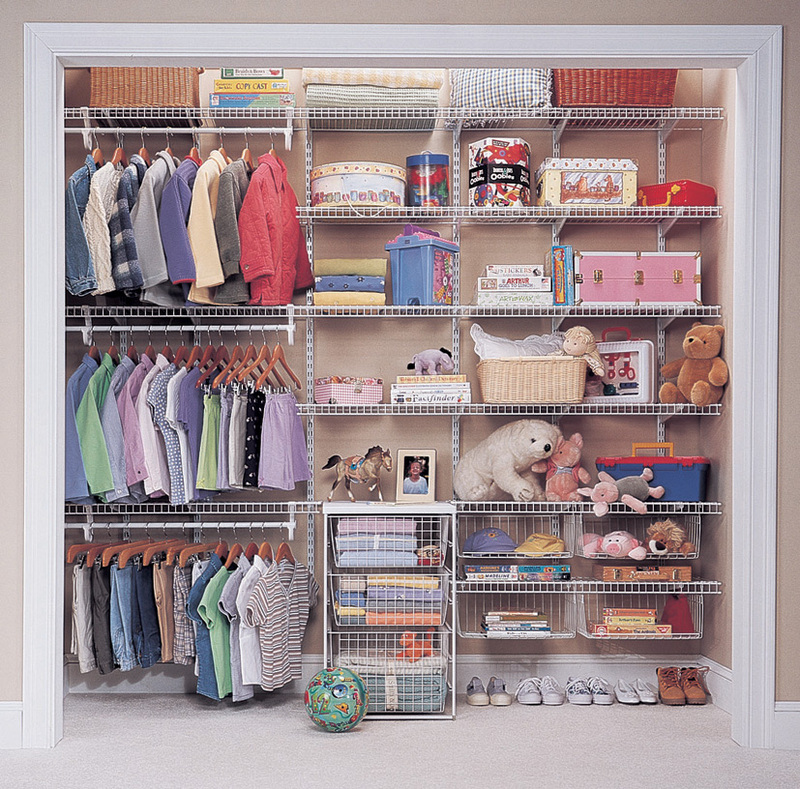 Available for use in closets with our SuperSlide shelving, it allows you to adjust the height and position of your shelving along the installed Track System, so that you can keep up with growing children or changing demands! Below are some images of our adjustable ShelfTrack system with our SuperSlide shelving. If you're lucky enough to have an entire room dedicated to all of your clothes, shoes, handbags etc. 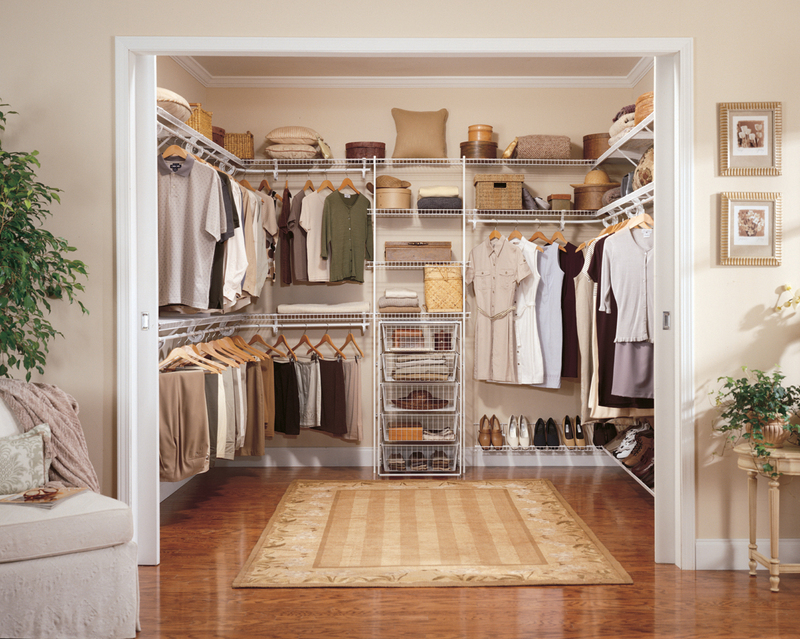 then take a look at our wire walk in closet ideas. 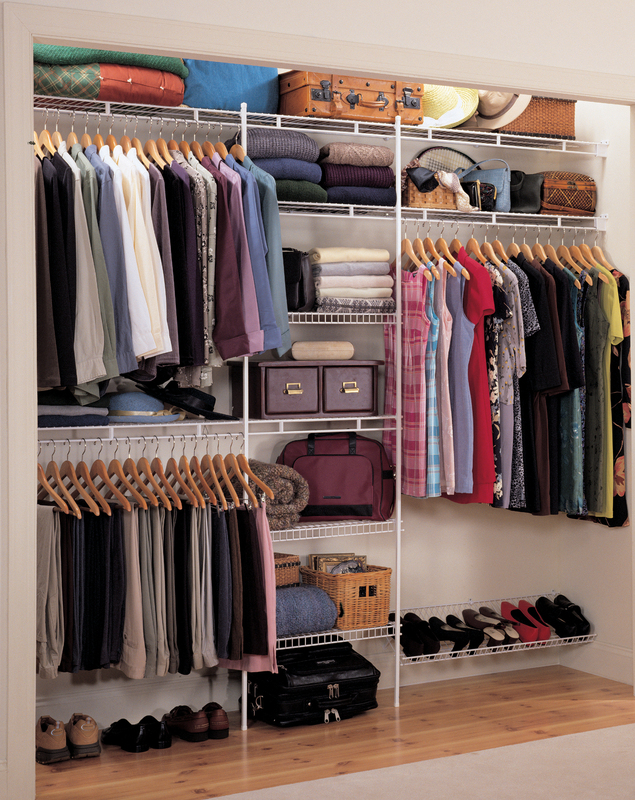 ClosetMaid wire shelving is a great option for anyone looking to kit out a walk in closet so that you can see everything at a glance, without big bulky doors, no frame work and an easy to install system. ClosetMaid's minimalist approach means that the focus is on your clothes. Click below for images. 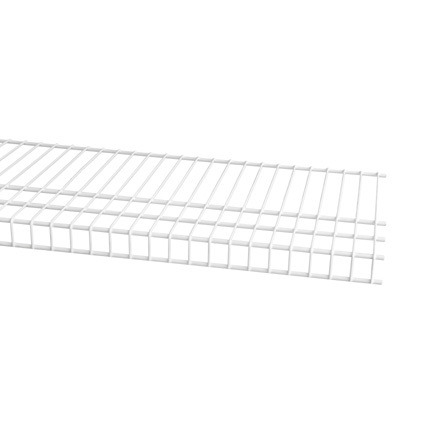 If wire shelving is not quite your cup of tea, why not consider our Selectives Range. 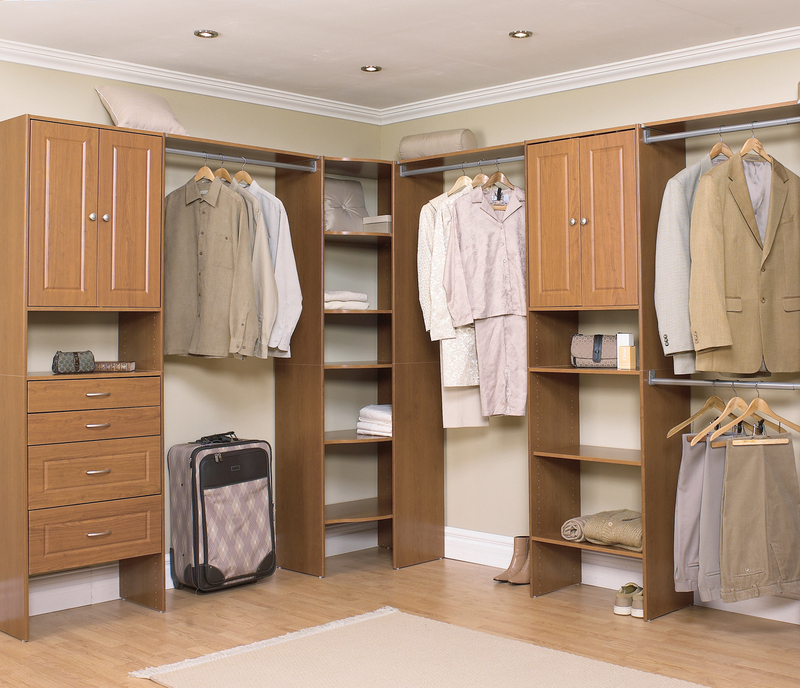 A modular laminate closet system that allows you to customise your closet as you desire, gives you a bespoke look with great quality but most importantly without the typical high street bespoke price tag!! Click below for images. As well as being the perfect system to organise your closet, ClosetMaid wire shelving is great for your utility area too! Whether you have a whole room or a small cupboard, its ventilated design means that ClosetMaid wire shelving is the ideal partner. 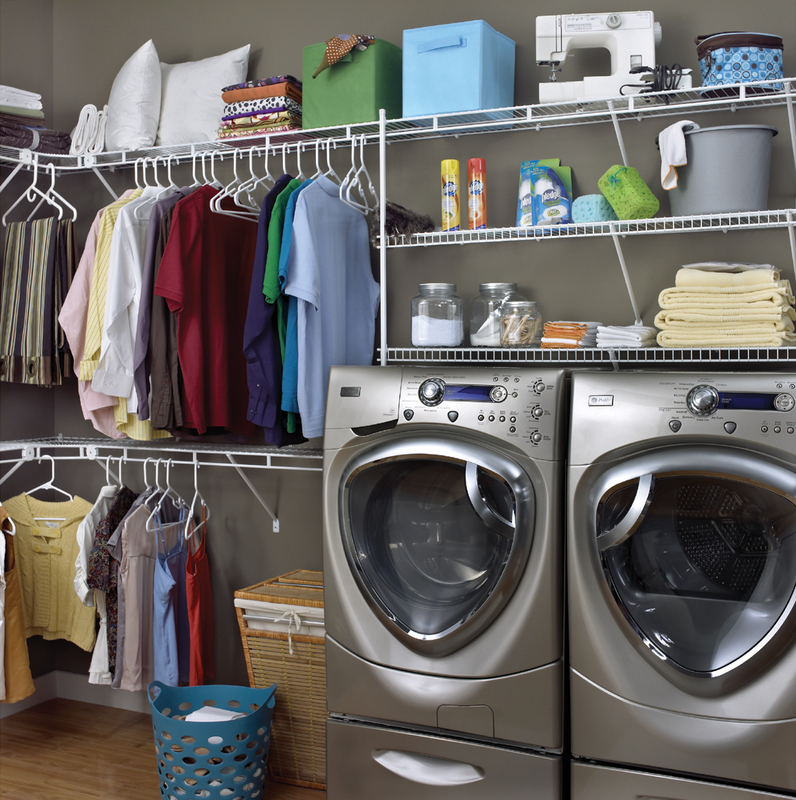 Create a hanging area for drying and storage, a shelving area for flat and folded garments, you can even add drawers to organise your cleaning products. See our images below. 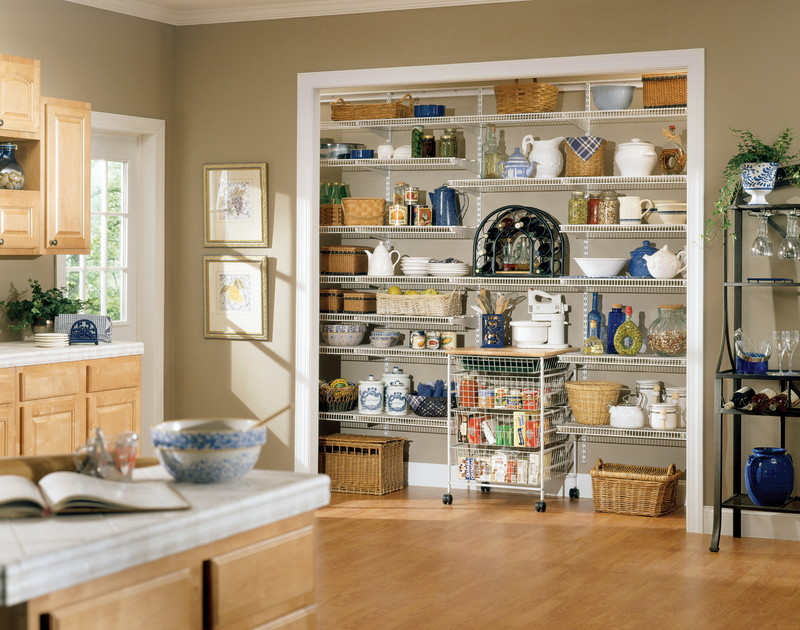 Why not consider ClosetMaid for your pantry area? CloseMesh shelving was designed with small kitchen and grocery items specifically in mind! With a smaller space between the wires, it means items are less likely to slip through whilst still maintaining a healthy air flow keeping items fresh! Teamed with our adjustable ShelfTrack system it makes our Pantry systems very strong, which is vital when storing bulky kitchen goods and appliances. 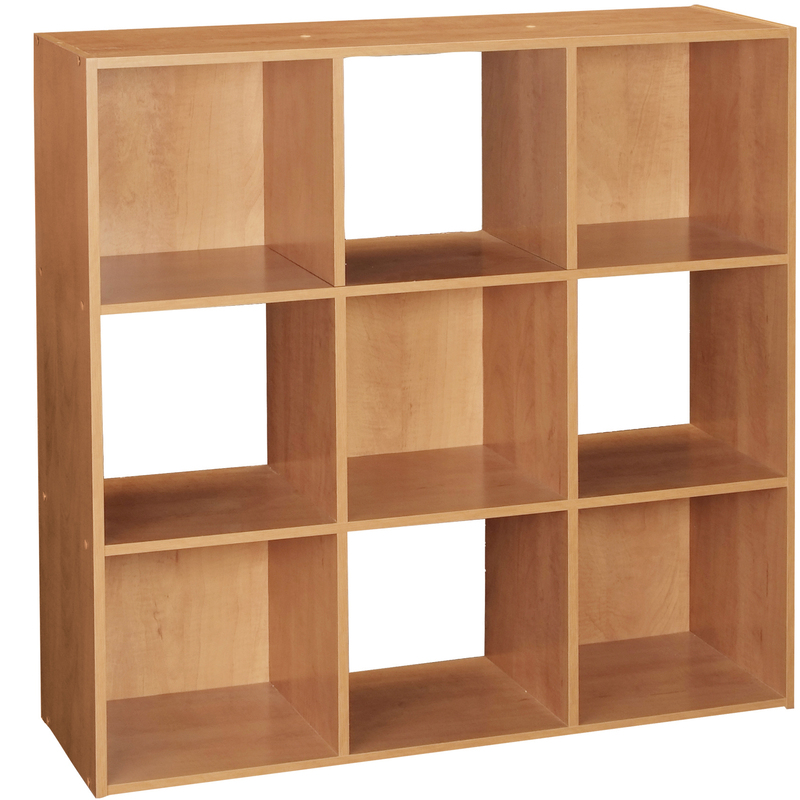 With shelving available in 12" (30.5cm), 16" (40.6cm) & 20" (50.8cm) deep, we have something to suit every space! See images below. As well as their steel wire with white vinyl finish shelving, ClosetMaid also offer a fantastic Garage range - Maximum Load. Still made from steel but with a grey epoxy finish, its durable, has an adjustable fixing system, tonnes of accessories to complement the range and as the name suggests its extra strong! Click below to see some images. 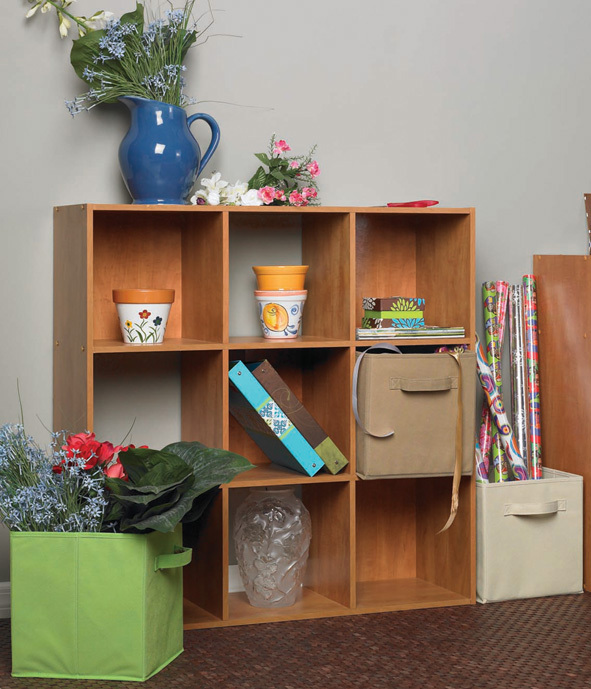 ClosetMaid's popular Cubeicals Range is the ideal addition to almost any room in the home. Use the laminate organisers on their own to create instant cube storage. 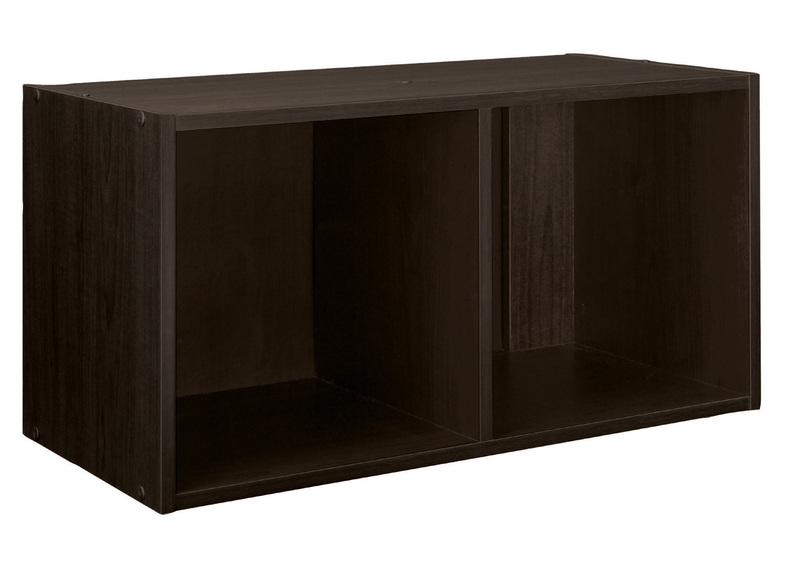 Use horizontally or vertically or stack together to create your perfect storage unit. Add fabric drawers to introduce colour or just use the fabric drawers on their own in your closet! Cubeicals is so versatile and as its available in a whole variety of colours and sizes, we really do have something for everyone! Click for some images below.